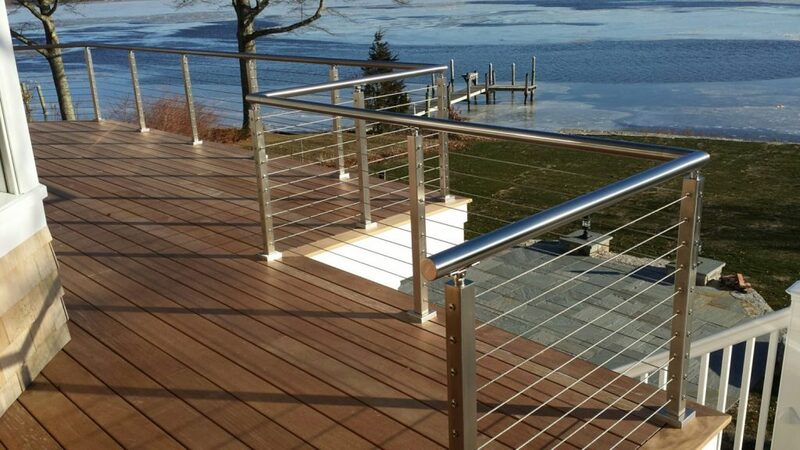 A cable railing system was the perfect immaculate touch for this his gorgeous waterfront property. For this project, the customer selected brushed stainless steel surface mount posts that were accompanied by a sleek, stainless steel round handrail. Round handrail is ideal a grab rail and is also excellent for anyone who prefers a curved look to more angular designs. In addition to the round handrail, the small sleeves that cover the post holes help give this project its stunning appearance. You can begin drawing your own cable railing project right away with Victor, our interactive design app. Once you’ve finished your drawing, submit it to our team so we can reach out to you with quoting and design assistance within 24 hours.